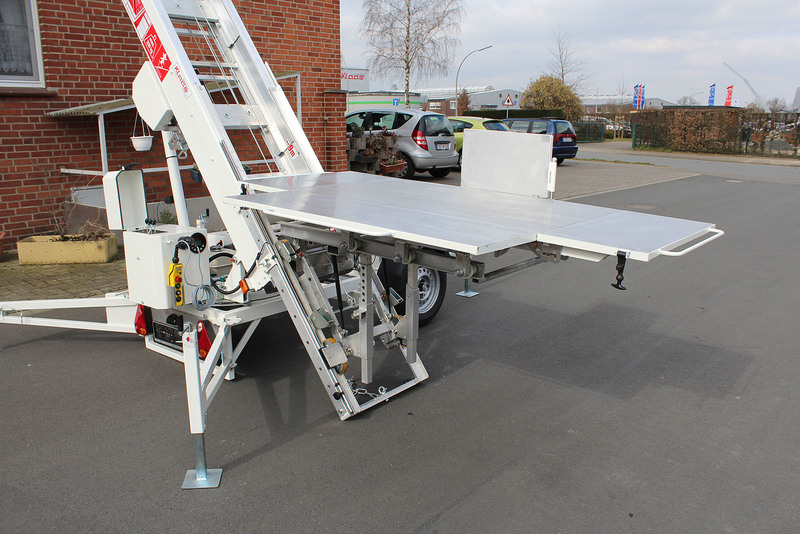 This furniture lift is a lightweight at just 750 kg and a convenient alternative to a removal lift. 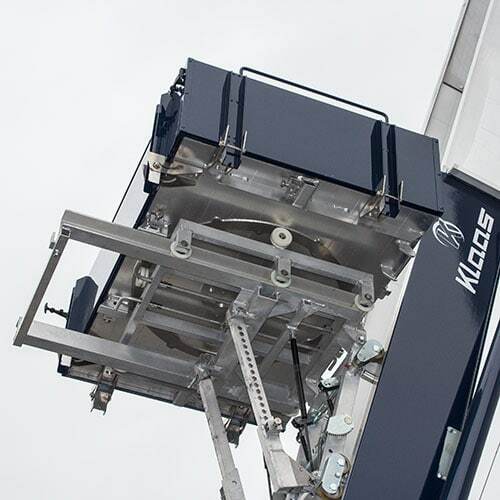 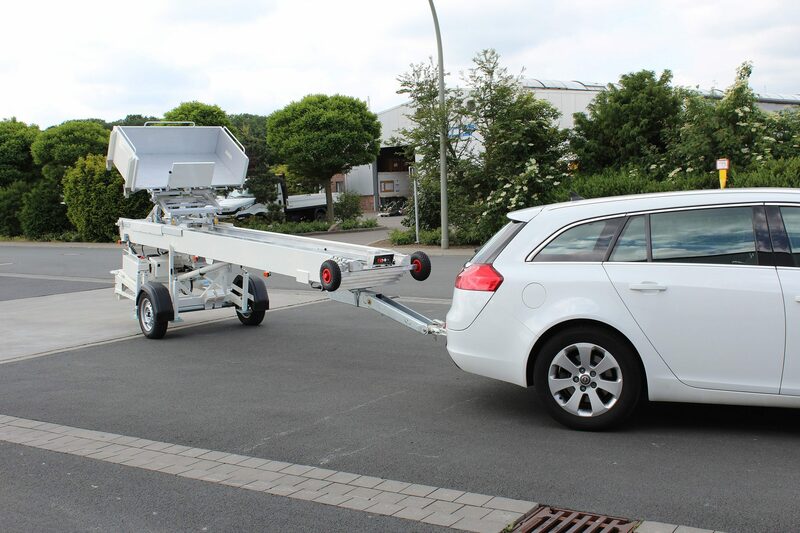 It can be towed by almost any car, whereby the height-adjustable towing device on the headpiece offers full flexibility and optimal driving ergonomics. 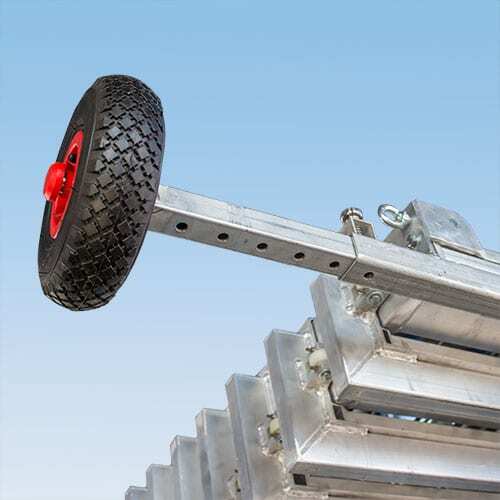 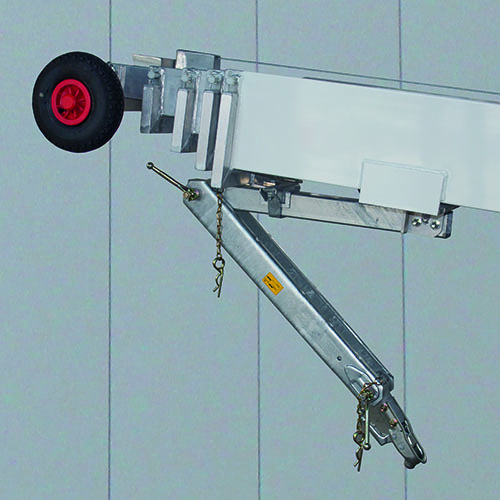 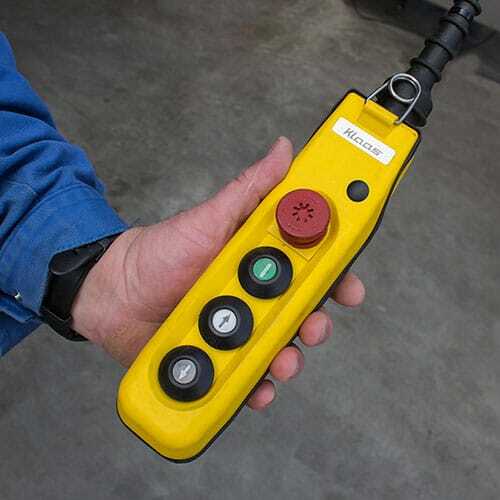 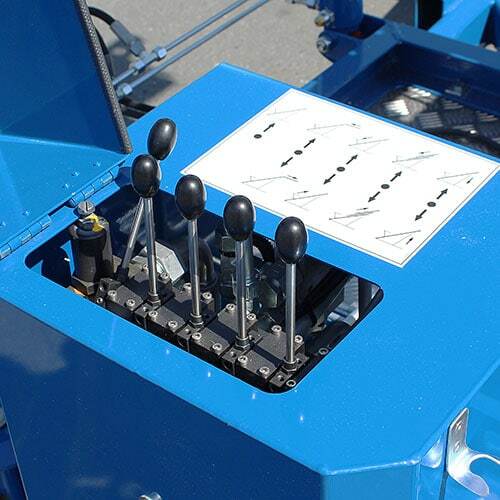 A balanced weight distribution enables the lift to be easily manoeuvred when uncoupled. 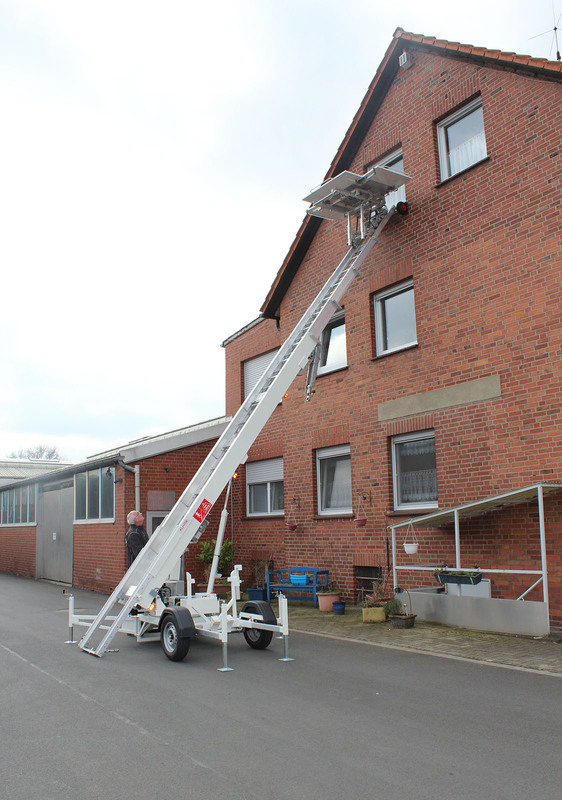 The Toplight 21 reaches heights of up to 21 m and can be supplied with a choice of petrol or 230 V electric engine. 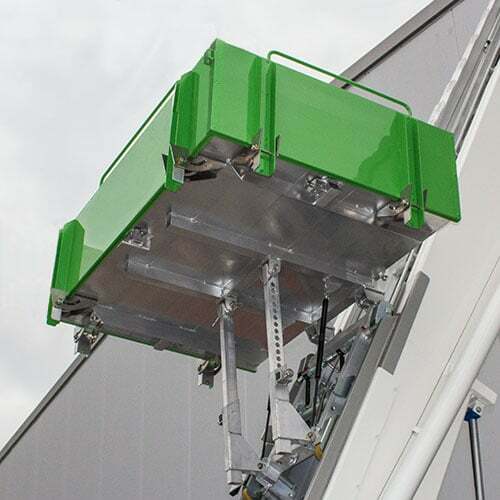 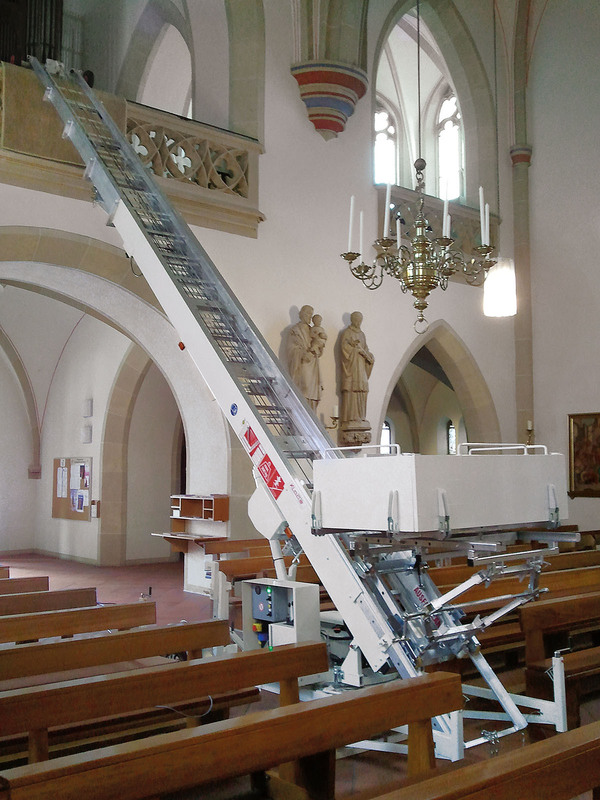 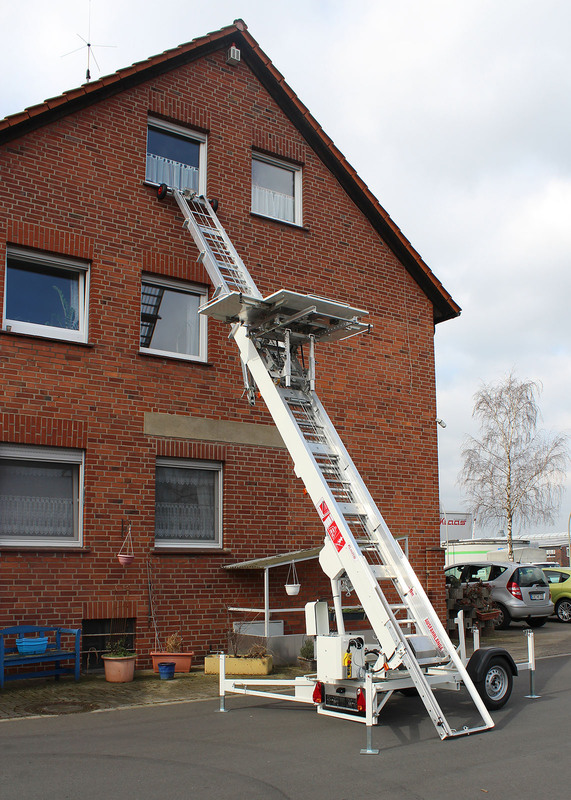 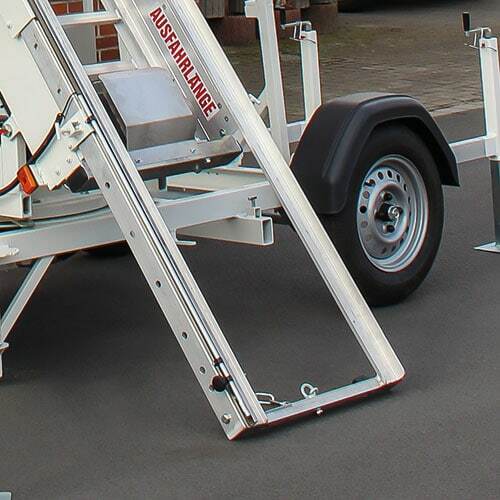 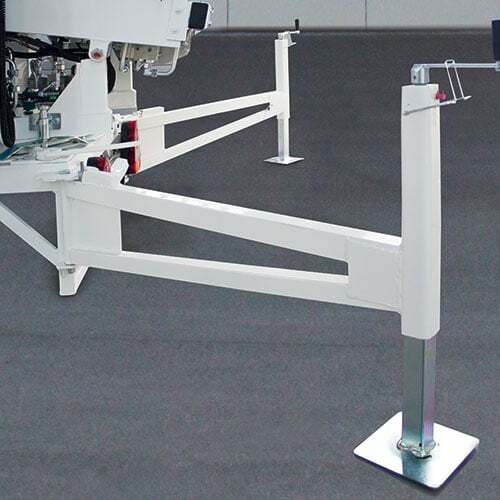 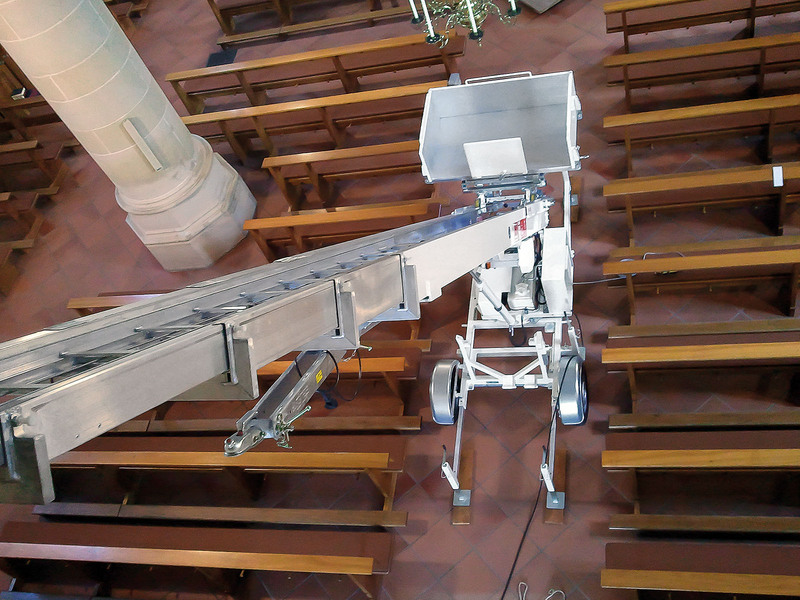 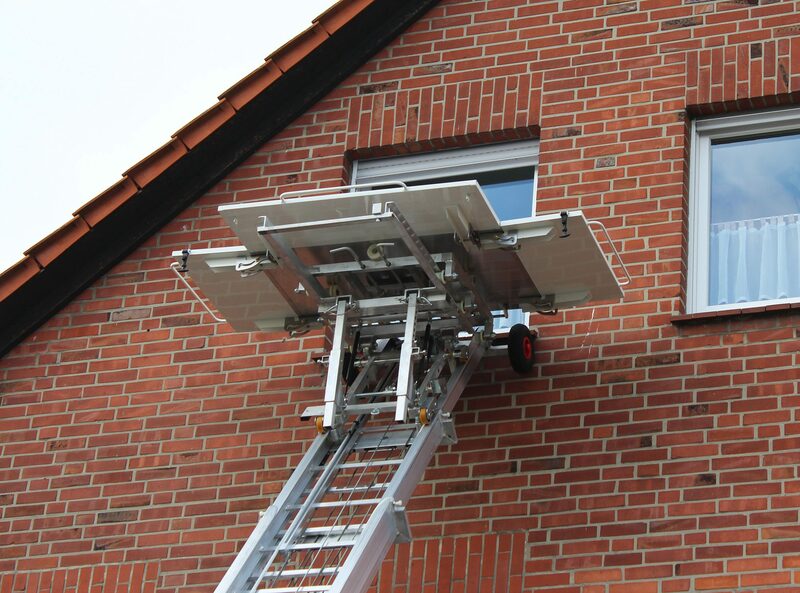 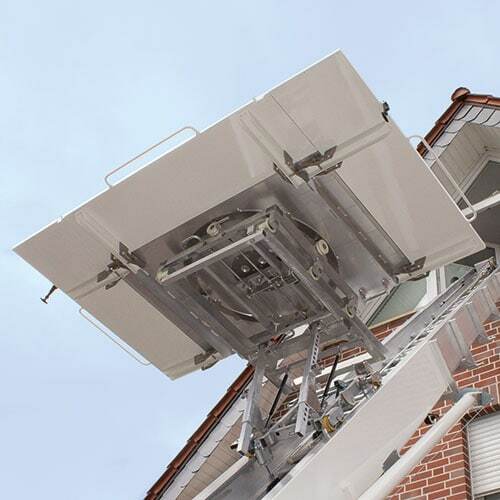 A base extension of around 2 m, which can be lowered down to the ground, guarantees an optimal working height. 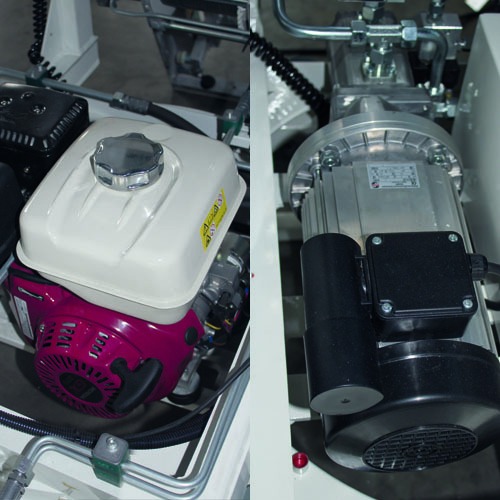 Honda engine slide speed 48.0 m/min. 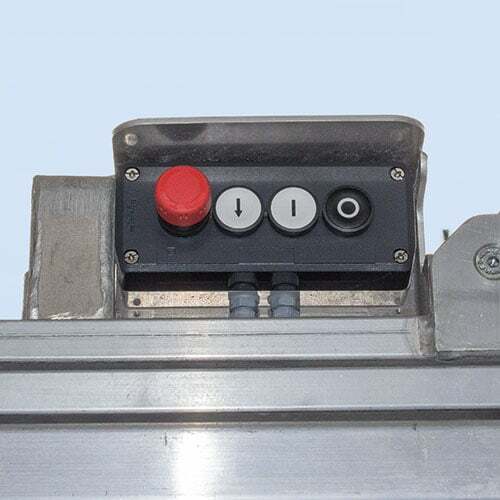 Electric motor slide speed 24 - 40 m/min.